"tonight was meatloaf wednesday at my house.... yes... there is such a thing at the lovato/ delagarza residence! anyway, i invited some cool people including a band that everyone should check out! 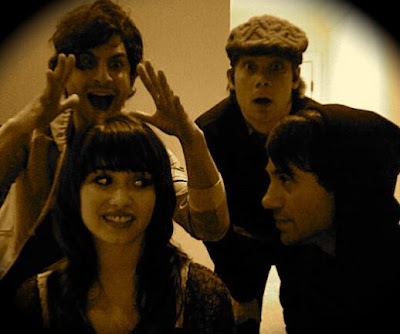 Above is one of the pics Demi took with Honor Society that night.